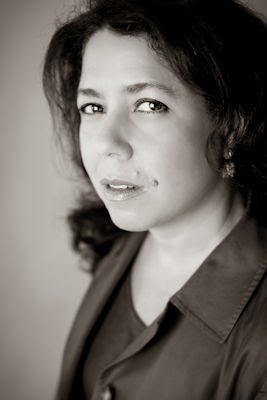 Please welcome Stephanie Saulter to The Qwillery as part of the 2014 Debut Author Challenge Interviews. Stephanie is the author of the ®EVOLUTION series. Gemsigns was published in the US yesterday. Stephanie: I started in a sporadic sort of way around ten years ago, with a number of vague ideas that congealed into a story, which then emerged as a screenplay. That led to another screenplay, and then I founded the Scriptopus writing website in 2010, and by 2011 I was a novelist. 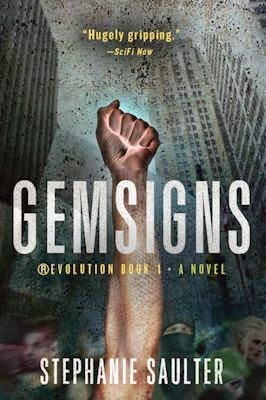 Gemsigns came out of hunting for a type of speculative fiction that I could never seem to find. Eventually I realised that this was possibly because no one had written it yet; so, basically, I wrote the book I wanted to read. Stephanie: I’m a bit of a hybrid. I need to know where the story is going and who the key characters are, have a sense of structure and the themes I want to explore along the way; but that’s about as much useful planning as I can do. It feels much more real and true and immediate to me to have the details emerge as I write them. I have lots of ‘Where did that come from?’ moments, which I love. TQ: Your publisher bio states that you "read biology at MIT before majoring in English Literature and minoring in Anthropology." How have these 3 disciplines influenced your writing? Stephanie: My area of greatest interest within biology has always been genetics; I’m fascinated by this amazing molecular language that enables life to exist and persist, and so it was natural to speculate on what might happen once we start rewriting that language, transposing elements between different species. What does that do to society, to people’s relationships with each other and the world around them? Which is where my background in anthropology comes in – it helps me to think about the impact on another set of codes, at the cultural level. Eli Walker is an anthropologist because I wanted to emphasise the importance of a rational, scientific approach to change, as opposed to the reactionary politics we see so much of. Literature, finally, is the language of the mind, the intellect; it’s one of the ways we explore and try to understand ourselves, one of the ways we make imagination tangible and transferable. All three disciplines – genetics, anthropology, literature – are about how information is organised, communicated and perpetuated; and how it evolves. Stephanie: Getting started. Finding my way in to the story. Very little scares me, but sometimes the scale of what I’m trying to achieve can be downright intimidating. The trick is to find the hook – it can be a plotline, a character, a certain narrative voice – that gets you past that paralysis, pulls you in. And then you’re away. Stephanie: Touchstones from my childhood include JRR Tolkien and Frank Herbert – I still don’t think The Lord of The Rings or the Dune books have been bettered in terms of the depth or detail of their worldbuilding. Charles Dickens, Jane Austen and Charlotte Brontë, who I read when I was young and then again for my degree. I have to credit university as an influence, because that’s where I really learned to read critically. It’s also where I first encountered Zora Neale Hurston and Toni Morrison, and more generally the concept of outsider voices. Neil Gaiman is probably my favourite living writer, and I’m also a big fan of Richard Morgan (and no, they could not be more different). Jorge Luis Borges for sheer imagination and intellectual heft (Gemsigns was supposed to open with a Borges quote, but we couldn’t clear the rights). I was still working my way through the Culture novels when Iain Banks died; I’ll be doing that for a while yet. Margaret Atwood and Ian McDonald, though again I’m playing catch up with their bodies of work. Karen Lord and Lauren Beukes are among my current top picks. TQ: Describe Gemsigns in 140 characters or less. In a future saved by genetic science, the radically altered face godgangs, corporate slavery and a question: what does it mean to be human? TQ: Tell us something about Gemsigns that is not in the book description. Stephanie: The description focuses on the Big Picture of the story, but at the heart of the book is a very small boy who is found, apparently abandoned, in chapter 1. The mystery of who Gabriel is, what he can do, what’s already been done to him, and what might be done in the future if the gemtechs or godgangs get their way, is a way of posing all those Big Questions at a very intimate, human level. TQ: What inspired you to write Gemsigns? Why did you choose to write Science Fiction? Do you want to write in any other genres? It started with an idea I had one day – which I can’t say too much about, because it turned out to be the climactic scene of the novel! But a number of things I’d been thinking about for a while kind of coalesced around it, fleshed it out and turned it into a story. As for genre, I don’t start by choosing which pigeonhole to sit in. I write about what interests me, in a way that interests me. I know that the result (at least so far) is going to be labelled science fiction, and I’m perfectly happy with that, but the label itself is not what I’m after. My ambition isn’t to write in genre X or genre Y – it’s to tell the story, and tell it well. TQ: What sort of research did you do for Gemsigns? Stephanie: It’s mostly fact-checking – so that I don’t assert something patently ridiculous – but I’m not research-led. I tend to do just enough to confirm whether an idea I have is sufficiently plausible to run with, and to work out how to develop it in a way that maintains and enhances its plausibility. For Gemsigns that meant looking up stuff on sensory abilities in other species, neuromuscular disorders in humans, developments in biotechnology, a bit on social media, and a few odds and ends on the history and geography of London. TQ: Who was the easiest character to write and why? The hardest and why? Who is your favorite character? Stephanie: Eli was probably easiest of the primary characters; he is basically an intelligent, decent, somewhat conflicted man, with a mind that works a lot like mine. I knew who he was from the start. Mac, the godgang leader, was quite difficult. His view of the world is so extreme that at first I found myself pulling back. The story demanded that I give him his head, let him be as hate-filled and violent as he needed to be, but it was an effort. It’s hard to pick a favourite – they’re all my babies – but Aryel Morningstar is the one who started the ®Evolution for me, and I remain fascinated by her. She’s the one I’m still most likely to be surprised by. TQ: Give us one of your favorite lines from Gemsigns. Stephanie: The headache bloomed before Gaela’s eyes, a violence of reds and violets. Stephanie: I’ve got to finish writing the ®Evolution! 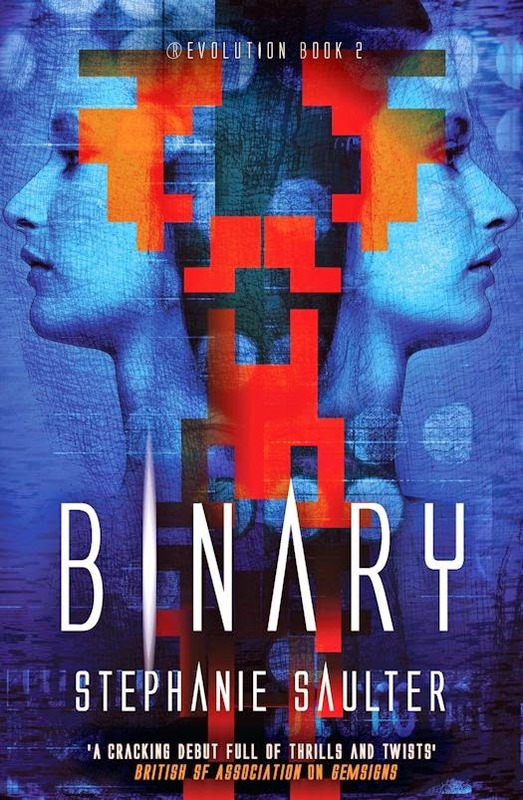 The second book, Binary, will be out in the UK in April, and should be making it to the US early next year. I’m working on Gillung, the third and (probably) final book. I’m already running late on that, so I’m not letting myself think about other projects until it’s delivered. In between everything else I’m going to be at the Calabash Literary Festival in May, and then the Nine Worlds and World Science Fiction Conventions in August. Stephanie: Thank you for inviting me! Starburst magazine raved that Gemsigns, the first novel in a series, is “a fascinating and compelling read, exploring the boundaries of human behavior, religious influences, and the morality of the everyday person. It comes highly recommended.” For years the human race was under attack from a deadly Syndrome, but when a cure was found – in the form of genetically engineered human beings, Gems—the line between survival and ethics was radically altered. Now the Gems are fighting for their freedom, from the oppression of the companies that created them, and against the Norms who see them as slaves. And a conference at which Dr Eli Walker has been commissioned to present his findings on the Gems is the key to that freedom. But with the Gemtech companies fighting to keep the Gems enslaved, and the horrifying godgangs determined to rid the earth of these ‘unholy’ creations, the Gems are up against forces that may just be too powerful to oppose. 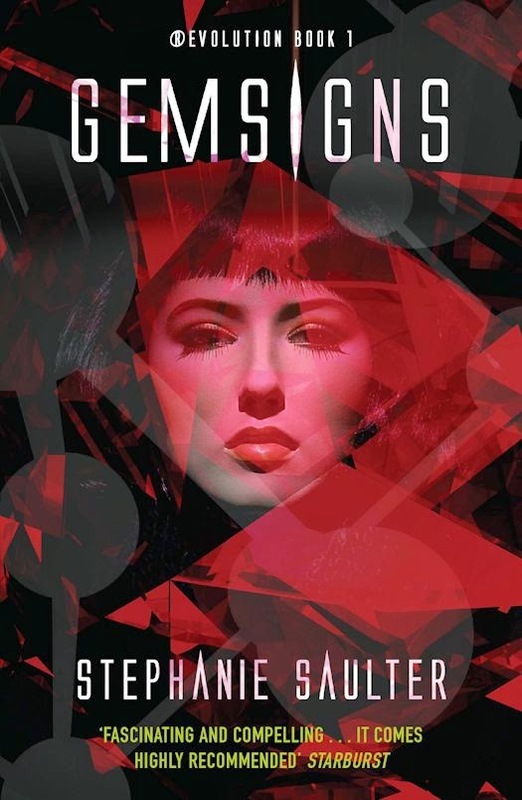 For years the human race suffered from a deadly Syndrome, but when a cure was found - in the form of genetically engineered human beings, gems - the line between survival and ethics was radically altered. Neither Aryel Morningstar nor Dr Eli Walker are convinced that Klist or Bel’Natur can have changed so dramatically, but the gems have problems that only a gemtech can solve. In exchange for their help, digital savant Herran agrees to work on Klist’s latest project: reviving the science that drove mankind to the brink of extinction. Stephanie Saulter writes what she likes to think is literary science fiction. Born in Jamaica, she studied at MIT and spent fifteen years in the United States before moving to the United Kingdom in 2003. She lives in London, blogs unpredictably at stephaniesaulter.com and tweets only slightly more reliably as @scriptopus. GEMSIGNS is Stephanie’s first novel and it will be published in May 2014 by Jo Fletcher Books (an imprint of Quercus). It is the first book in The ®Evolution Series. Its sequel, Binary, has just been published in the UK and Stephanie’s busy running late with the third book, Gillung. Who and When: The contest is open to all humans on the planet earth with a US mailing address. Contest ends at 11:59PM US Eastern Time on May 15, 2014. Void where prohibited by law. No purchase necessary. You must be 18 years old or older to enter. Good job on the interview.